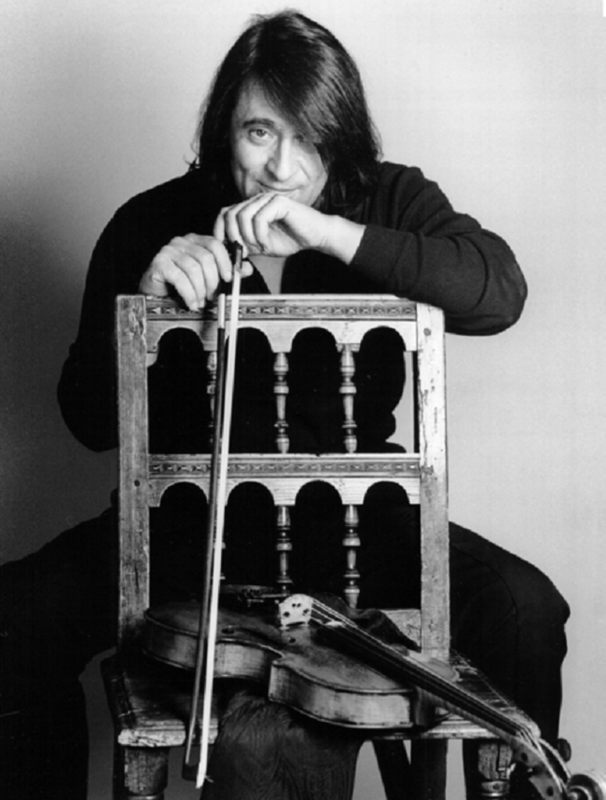 Violist and director Yuri Bashmet. Participants will include some of the greatest musicians from Russia and around the world: Vadim Repin (violin), Denis Matsuev (piano), Olli Mustonen (piano, Finland), Anna Aglatova (soprano), ten-time Grammy Awards winner Arturo Sandoval (trumpet), Diana Arbenina, and others. The opening gala-concert will feature performances by the soprano Olga Kulchinskaya (soloist at the Bolshoi Theatre), violinist Massimo Quarta (Italy), and the Woodwind Quartet of Valentin Uryupin (clarinet, Russia), Philippe Tondre (oboe, France), Rie Koyama (bassoon, Japan), and Jose Vicente Catello (horn, Spain). Maestro Yuri Bashmet himself will take part at the Festival concerts as a soloist and conductor of his orchestras: chamber orchestra “Moscow Soloists” - Grammy Award Winner, and the State symphony orchestra “Novaya Rossiya” [New Russia]. As in past festivals, the program gives special attention to musical-literary productions and performances created especially for the Sochi Festival. Yuri Bashmet will present his original versions of Eugene Onegin and Fantastic Carmen. On the eve of the opening gala-concert in the Winter Theatre, guests will be able to watch again the subtle and touching performance Don’t Leave Your Planet based upon Antoine de Saint-Exupéry’s novel The Little Prince. The première took place at the 9th Winter International Arts Festival in Sochi in 2016 and within a year has become one of the sought-after theater shows in Moscow and across Russia. For the Anniversary Festival Victor Kramer has created a world première, a performance of the opera The Barber of Seville based on Pierre Beaumarchais’ famous narrative and with Gioachino Rossini’s music. The festival’s ballet evening will follow the theme “Dreams about Opera.” It will feature the Italian dance company imPerfect and the famous Paris Grand Opera’s soloists Dorothée Gilbert and Mathieu Ganio. Rock-music program will be represented by Maestro Yuri Bashmet and Diana Arbenina together with her band “Nochnye Snaipery” and orchestra “Novaya Rossiya”. The first joint performance of the musicians was held during the 8th Winter International Arts Festival, 2015. Every year, jazz and ethnic music performers come to the Winter Festival in Sochi. This time, Chinese musicians – the Hong Kong Chinese Orchestra – will share the stage with the “Moscow Soloists” Chamber Orchestra. It’s worth mentioning, that two famous composers from Russia and China – Alexander Tchaikovsky and Tan Dun – are writing especially for this event their works, which will be played during the concert by two ensembles. At the jazz evening dedicated to Dizzy Gillespie, the ten-time Grammy Award winner, trumpet player and composer Arturo Sandoval will present his own original program. In addition to the performances of Vadim Repin, Denis Matsuev, and Anna Aglatova, the gala-concert will feature the world premières of two concerts for viola, dedicated to Yuri Bashmet and written especially for the festival by the young Russian composer Kuzma Bodrov and the Japanese composer Atsuhiko Gondai. For the first time in the festival’s history, some of the concerts will take place not just in the Winter Theatre but also in the mountains, at the increasingly popular Rosa Khutor Resort which hosted the Men’s and Women’s Downhill for the Sochi Winter Olympics and The Freeride World Tour. The festival’s educational projects are expanding significantly as well. The framework of the Anniversary Festival will include three academies in parallel – the Second Youth Music Academy, the Queen Elisabeth Music Chapel (Belgium) and the Crusell Music Festival (Finland). For the first time, there will be a Young Composer Academy under the tutelage of Prof. Alexander Tchaikovsky, Artistic Director of the Moscow Philharmonic and a Young Opera Singers’ Academy under the tutelage of Prof. Dmitry Vdovin, Artistic Director of Bolshoi Theatre’s Young Artists’ Opera Program. In addition, Sochi will host the final stage of the Third Young Composers’ Competition which will be dedicated to Andrei Eshpai and Emil Gilels. The Third School for young regional journalists who write about culture will be held there as well.